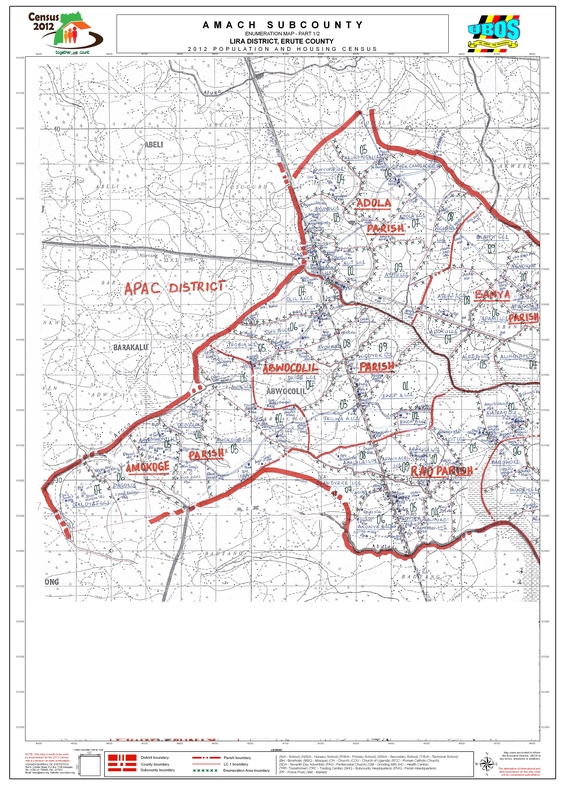 Amach Sub-county is one of the 24 Sub-counties in Lira District. It is located approximately 24 kms south east of the District Headquarters’. 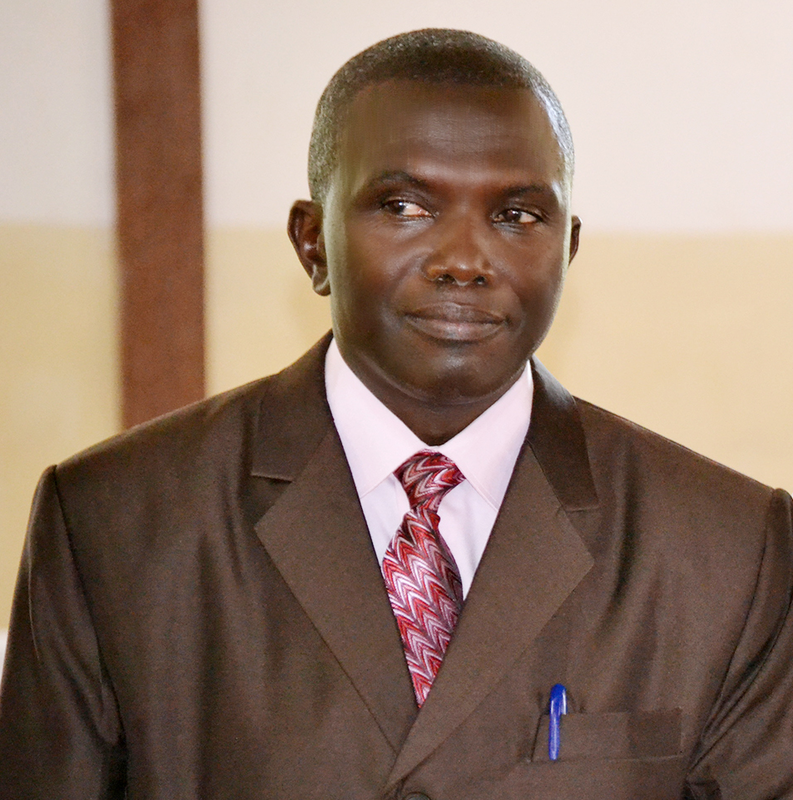 It is bordered by 5 sub-counties of Adekokwok to the North west, Batta Sub-county to the East, Agali sub-county to the North, Agwata Sub-county to the South, in Lira District and Akalo Sub-county in Apac District to the West . Improve on human welfare of all members of the society in Amach Sub-county by the year 2020. Mission:TO reduce level of poverty, provide quality education, medical care, clean water, food, roads, shelter, etc to the people. Provision of efficient, effective and close service delivery tot he people. The Sub-county has eight parishes and 64 villages. The parishes are; Abwocolil, Amokoge, Alworo, Ayach, Banya, Adola, Onyakede and Rao. Chairperson LC III is the political head in the sub-county, while Chairperson LC II and LC I are for the parish and village respectively. In every lower local government there are council, executive and sartorial committees. Sub-county chief is the head of Civil Service in the sub-county as well as a financial controller; she is accountable to the sub-county council headed by Chairperson LC III and directly to Chief Administrative Office (CAO) in the county headquarters. Parish chiefs are the Accounting Officers at parish level, they are accountable to parish council chaired by LC II Chairperson and directly to the sub-county chief. Every parish has Parish Development Committee (PDC) members headed by Chairperson. The PDC serves as a planning arm of a parish. Due to the large size of the Sub-County, the L.C. 111 Council has divided the Sub-County into two (2) one to be called Agali Sub-County and the other to remain the former name Amach Sub-County. Some Parishes were also divided; Banya Parish into Adola Parish and Banya Parish, Abwocolil into Amokoge and Abwocolil parish. Crop farming especially at a sub-county level is the major source of livelihood in Amach Sub-county cotton which had been the main cash crop is gradually being taken over by other non-traditional food crops part of which are for sale. However, crops such as colonial coffee, sunflower Soya beans grown mainly for sale are being adopted. Livestock farming supplements crop farming in Amach. Live stock reared includes cows, goats, sheep and poultry. Though livestock which used to be a big source of wealth were robbed by cattle rustlers in the 1980s the high rate of restocking is commendable especially by private / individual initiatives not forgetting the contribution from Restocking Programme of the year 2000. Rural enterprises are few coupled by the low level of industrialization in the district. Available are few grinding mills. Poverty levels are high with most people living below the poverty level. There are a number of challenges faced by the sub-county which calls for attention of all stakeholders and our partners in development to director their support to, however we have laid down some of the strategies to handle the challenges well as the activities necessary. 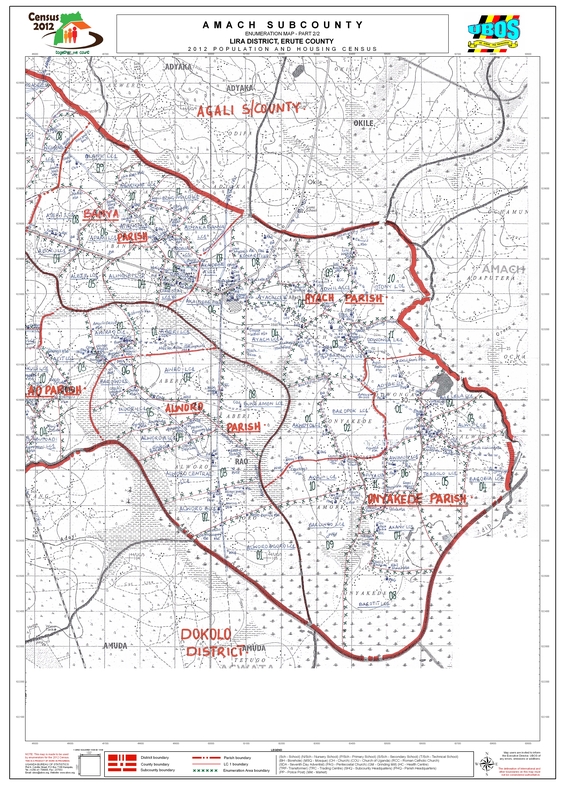 With the increase in the level of insecurity in the sub-county and most part of the district of Lira, most of the people in the sub-county have fled their home to internally displaced camps (IDPC) and this had made the collection of data difficult from parishes and has increased the level of poverty in the sub-county. The unreliable weather prevalence in the sub-county has reduced the productivity of most farmers due to prolonged drought, hailstones etc. There is still high number of children a woman produces in her life time of an average of 7 children. This figure is still very high because of low contraception use, low age at first birth. Low education and culture of valuing quantity rather than quality of children. Nearly 30% of the households are headed by female. These are mainly widows and single women which needs to be addressed to improve their standard of living. There is still low revenue collection in the sub-county due to few revenue base negative attitude to paying taxes by tax payers because political interference debarring tax payers to pay the taxes and the low income among the local populace. In the financial year 2003/2004 only 20% of the total revenue from local revenue has been collected. In general, out of the total revenue and get over 75% is from central government grants or door funds. The Sub-County is also faced with a challenge of high infant mortality rate of 100 infants per 1000 live birth. This rate is high because of diseases, poverty, food insecurity, illiteracy and low access to social services like health centre. High child mortality rate among children of year 1-5, this premature death of children is still high because of illiteracy especially among females, poor feeding, disease especially malaria, measles, lack of health care and other killer diseases. Maternal mortality rate i.e. the number of death of women from pregnancy related causes is also a challenge in the sub-county. Although the effect of HIV/AIDS can be noticed in the sub-county, there is insufficient data to justify its magnitude but generally from HIV/AIDS surveillance report, June 2001, Ministry of Health Lira District formed 1.6% of the cumulated reported AIDS cases for the year 2008. Strategies have been laid down by the sub-county, district and NGO as well as CBOs to train and sensitise the rural populace on HIV/AIDS and STDs, to sight some examples like AIM, CAI, ACDA and others. Quite a good number of schools have trained teachers of at least grade III standard although a few have Diplomas. The female teachers in Amach Sub-county constitute only 19%. This partly explains the deteriorating morals of girls in the schools. Lack of accommodation and poor condition of the few teachers houses brings about ineffectiveness on the teachers’ side. The high rate of school drop outs in Amach, this is cause by the negative attitudes of most parents have on girls education, ignorance of parents on the education values, lack of money for payment of school fees early marriages, poor conditions of path. Village paths and some community roads leading to schools, long distances traveled by some pupils and lack of interest in education by pupils. Shortage of basic learning materials. In many school pupils sit on their private chairs, while those in lower primary classes sit on the floor which hinders their learning. A good number of schools in Amach do not have enough textbooks to be used by both teachers and pupils. Super through teachers development management system has helped in training of teachers, management committees and supplying textbooks to schools. NURP through its education components has assisted in the construction of some few classroom in few schools. 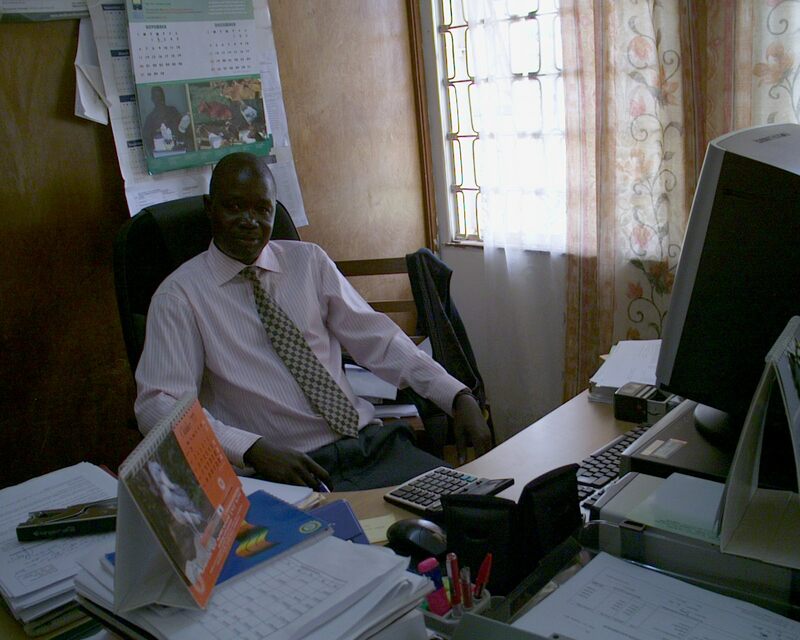 Local Government Management Service Delivery Programme (LGMSDP) has replaced Lira District Development Programme. This programme has also helped in construction works and service delivery. Some few schools such as Wiodyek, Amokoge,, Ateri, , Onyakede, Abutoadi and Amach Complex Secondary School. This NGO has assisted in the construction of VIP latrines in Amokoge, Abutoadi and Ateri primary school. Bad leaving environment in the form of classes, lack of desks which affect performance. Late reporting to school at the beginning of every term which makes it difficult to complete the syllabus. Shortage of basic learning materials. Poor housing facilities for teachers which makes other teachers to operate from their own houses. Ignorance of the educational values by parents. In the past maintenance had been a big challenge to the sub-county of the investment projects (infrastructures) because the projects are planned for but the maintenance components are unplanned for which lead to the investment not to exist for long. Of recent maintenance aspect have brought on board as an important component of project planning to make the investment stand the test of time. Negative attitude of community to project given to them, seen as not theirs. Lack of skillful planning catering for maintenance component. Lack of maintenance equipment such as compressors, tipper, etc. Community participating in maintenance of roads, school constructions. Employing porters concern with maintenance. Gender in equality is still a big problem in the society of Amach due to cultural influences, which sees women as a property. Qualified and competent heads of department and entire staff. Co-operation and co-ordination between political and administrative wings. We have three markets which raise us some money for development. Proper co-ordination from the district. Few NGOs and CBO’s operating in the sub-county. Bad conditions of community roads. Inadequate skills in data collection. Negative attitude towards tax payment by tax payers. Proximity to the district headquarters – 24 km. Easy accessibility to technical assistance and information from district officials. Natural resource endowments wetlands like Olweny Rice Scheme. Fertile soil where more crops are produced for consumption and for sale. Proximity to market – Lira town 24 km. We have good road network. Fluctuation in prices of Agricultural commodities ignorance. Pest and Diseases for crops and man especially HIV/AIDs. Unreliable rainfall affecting agricultural production.